The Colombo High Court yesterday re-issued notice on President Maithripala Sirisena and Prime Minister Ranil Wickremesinghe to appear before the court on October 9 to testify, as witnesses, in the trial against Tissa Attanayake the former Secretary of the UNP. 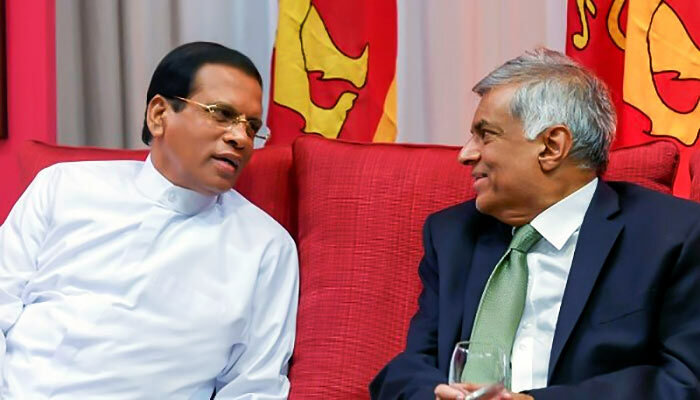 Attanayake has been indicted with having forged the signature of Maithripala Sirisena and Ranil Wickremesinghe to give the impression to the public that there was a secret agreement between Maithripala Sirisena and Ranil Wickremesinghe. Both witnesses have been earlier noticed several times to appear before the court to testify. They have not come and given various reasons for their failure to appear. The next date of the trial against Attanayake was fixed for October 9. The bench comprised Colombo High Court Judge Vikum Kaluarachchi. Two comedians . Have a good laugh before the act finishes in two years time. Once it is gone it is gone.